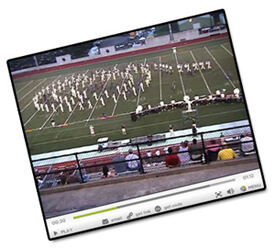 Check out this high-camera video clip of Carolina Crown's 2006 performance in Allentown, Pa. from July 1, 2006. More of Carolina Crown's 2006 performance can be found on the recently released 2006 DCI World Championships DVD, or see the corps live this summer in Allentown at the DCI Eastern Classic. Tickets for both nights of that event are now on sale.